Beautiful picture. Sad situation. And I don’t DARE get started on helicopter roundups. Absolutely should NOT be legal. I agree Suzanne, it shouldn’t be legal, it’s animal abuse. We have to keep at them and I can’t wait for the day they get investigated and the horses are put in the charge of people that care. 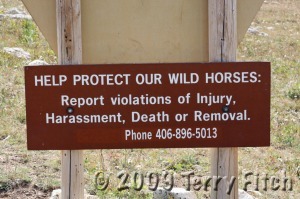 I, too, want a moratorium on wild horse round-ups. Why is it that the horses can’t be left alone? This land is theirs, has been set aside for them by our own government for crying out loud. I’d really like to know the people behind all of this crap and why they are really doing this. All I can think of is, it’s all about lining their pockets with $$$. Why aren’t police doing their job and arresting these law breakers? What is it going to take, citizens to come together and fight for justice? For crying out loud, what is happening to our country? Government is corrupt! I pray that these law breakers of God, our Holy Father, begin to understnd that life is a gift. It is not to be abused. 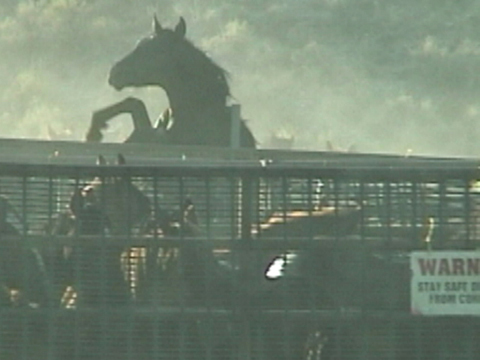 He did not put these horses here on earth for us to mistreat. BLM, you better change your ways before it’s too late. Your judgement day will come and I pray it is soon.